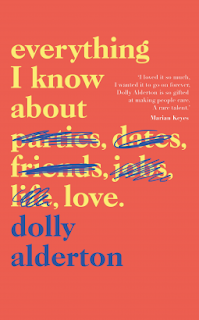 Glittering, with wit and insight, heart and humour, Dolly Alderton's powerful début weaves together personal stories, satirical observations, a series of lists, recipes, and other vignettes that will strike a chord of recognition with women of every age - while making you laugh until you fall over. Everything I know About Love is about the struggles of early adulthood in all its grubby, hopeful uncertainty. 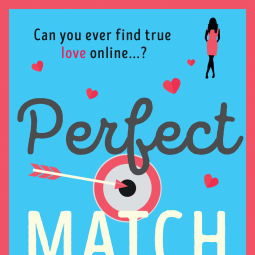 This review will be a little shorter than the average one, as there isn't much I can say about Everything I Know About Love as a non-fiction, without giving spoilers etc. The biggest highlight of this read for me, aside from the amazing, sometimes hilarious, heartwarming, smart messages and stories, was the writing, because damn can Dolly Alderton write. Everything I Know About Love is written perfectly eloquently, and could almost spark any kind of emotion from the reader, ranging from angst, to heartbreak, to humour. It was just amazing. In terms of the stories and messages throughout, this book covered so many reactions from me. There were parts were I was visibly sad, but more often than not, it was the humour I found within the story. So much of what Alderton has written was completely relatable and made you reflect on your own life and own stories, sometimes more serious aspects and sometimes more lighthearted, like remembering how MSN dominated your life when you were a young teen. My favourite parts of the book, however, were definitely the lists, of what Dolly knew about love at different ages and stages, which were scattered throughout the book! 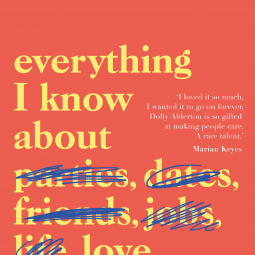 Before reading Everything I Know About Love, I knew a little about Dolly Alderton, knowing her from her Sunday Times column and her podcast. However, I knew that I wanted to check this memoir out, as it sounded charming and smart. I was not disappointed and would highly recommend this if you're a fan of Dolly's or of memoirs/non-fiction with similar messages.